On June 28, 2017, our Board of Education approved a resolution to hold a bond election Tuesday, October 10, 2017. If the bond passes, millage rates will remain the same. This is NOT a property tax increase. The total bond amount is $130,600,000. 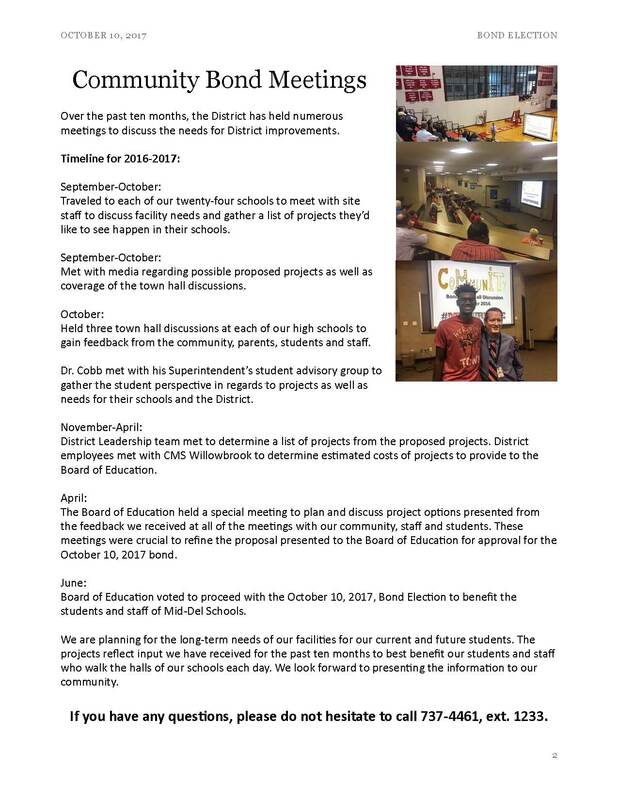 Thank you to our community, staff, students and Board of Education for providing input over the last 10 months to help us plan for the bond issue! We will be sharing more information in the coming months about the projects. If you have any questions, please do not hesitate to email rcobb@mid-del.net. Thank you! This Bond Election will NOT raise your taxes! Thank you to the citizens of Mid-Del Schools! Both of our bond proposals passed tonight! 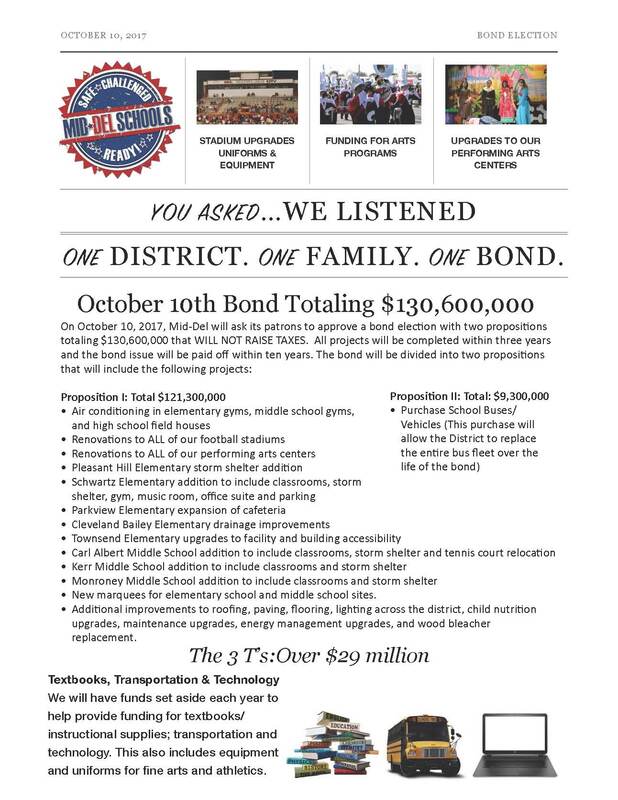 On behalf of the whole school district, I would like to thank our voters for supporting this bond and our students. Everyone who helped us plan the bond over the last 15 months has played a key role in establishing a long-term vision for the district. Our students, parents, employees, board members, and community partners all contributed to this moment. Over the next several years, as we complete each bond project, we will remember all the support and encouragement we have received throughout this process, culminating with today’s vote. 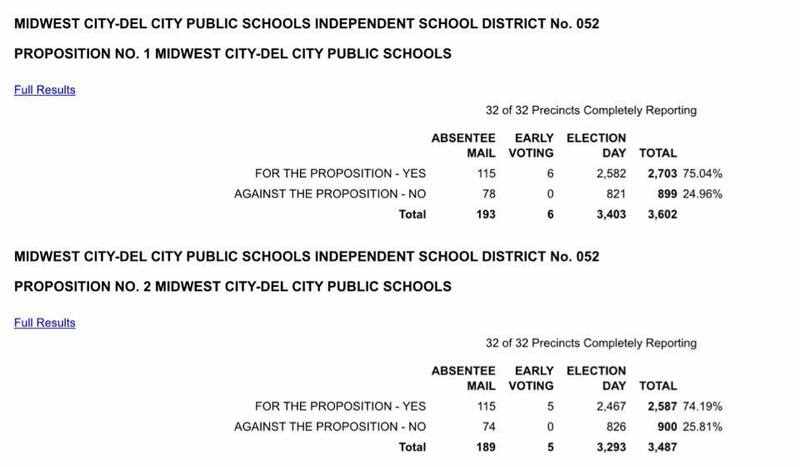 Thank you to all who support public education, and specifically for supporting Mid-Del Public Schools.